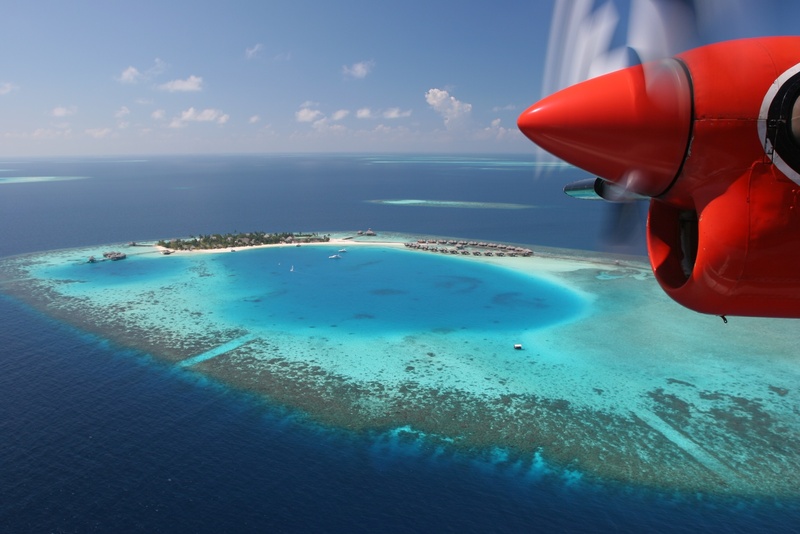 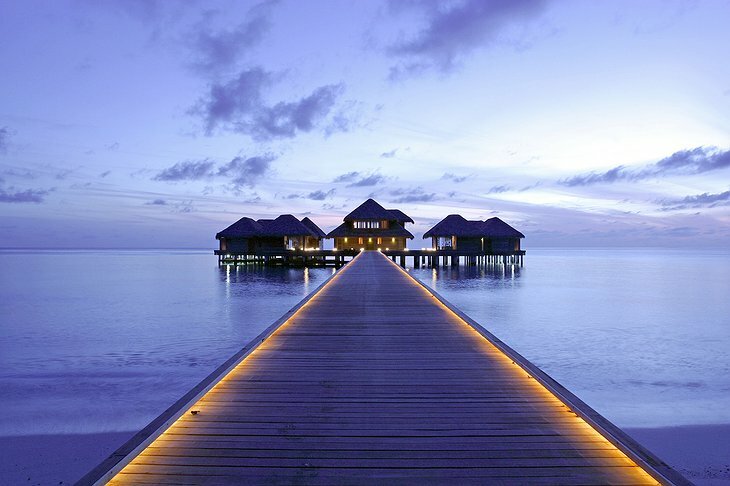 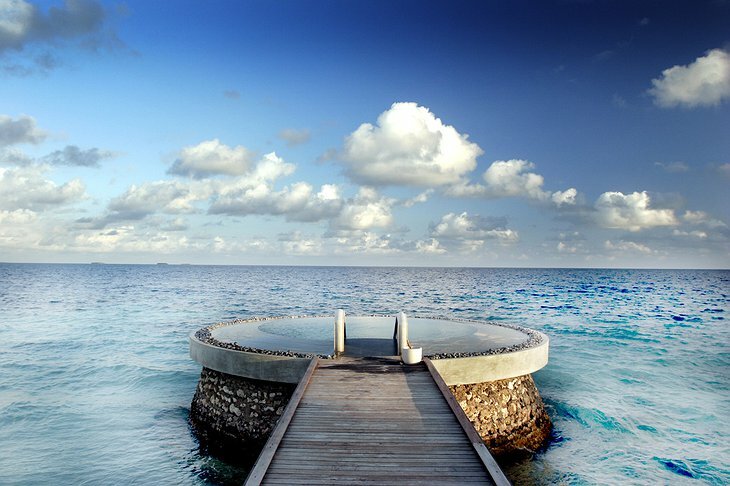 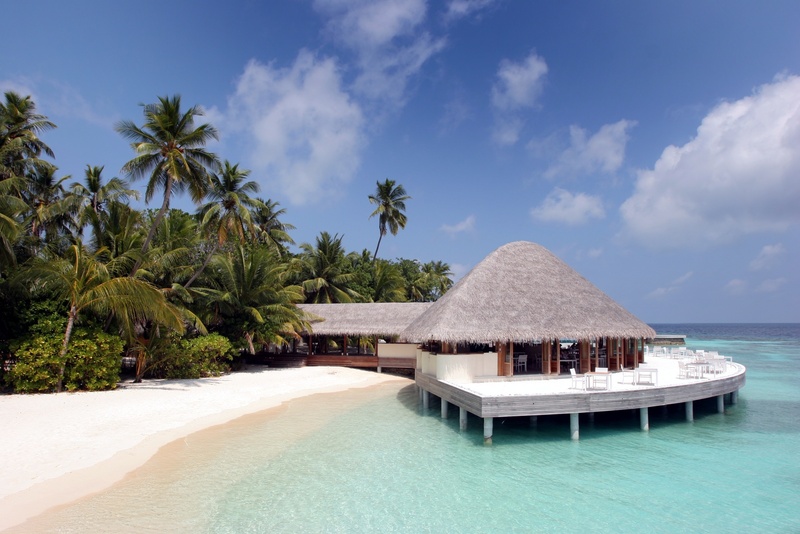 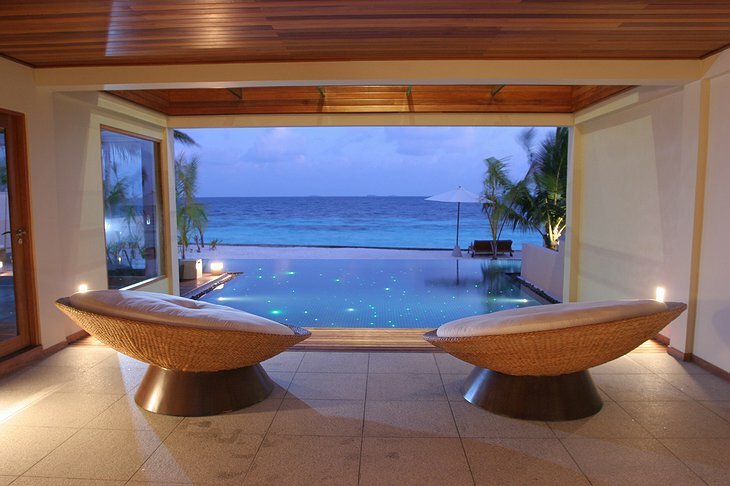 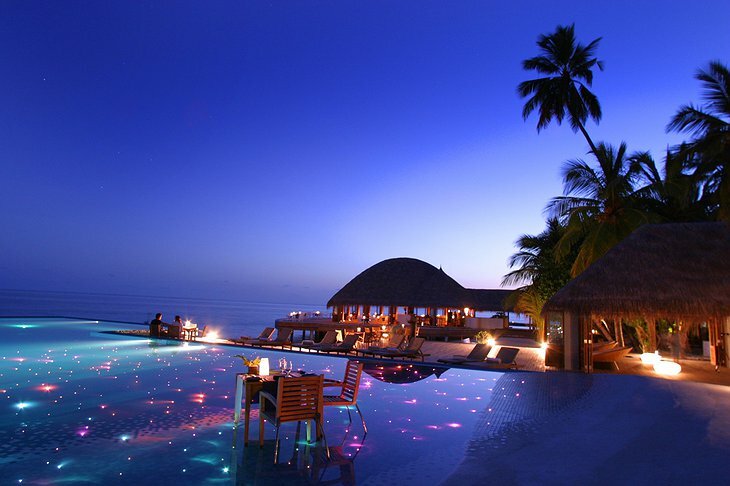 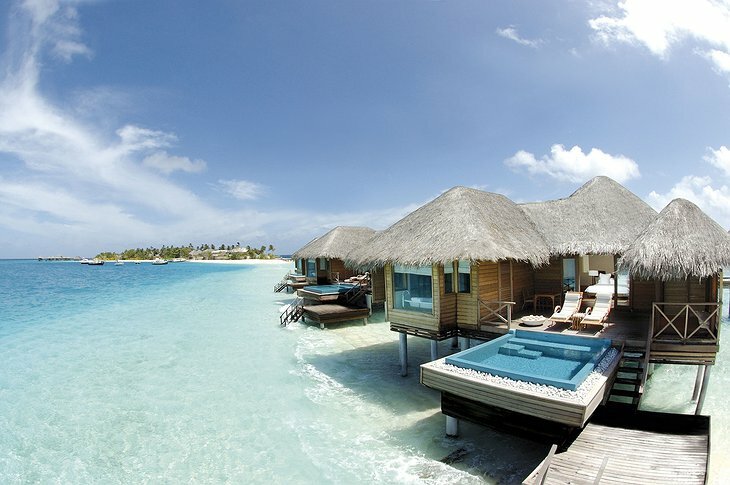 The Maldives are a sprinkle of islands surrounded by the vast Indian Ocean; a place of otherworldly beauty. 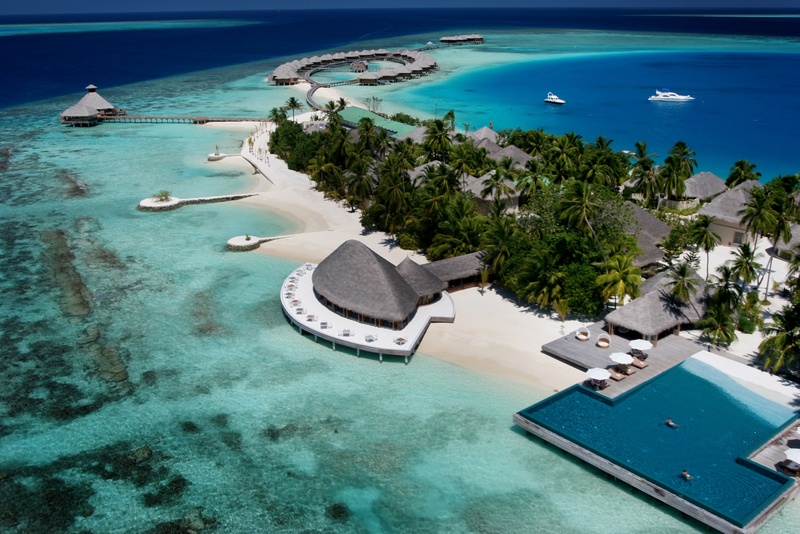 And, set in its own private lagoon, is Huvafen Fushi; a hotel popular with Hollywood A-listers like Tom Cruise and Angelina Jolie. 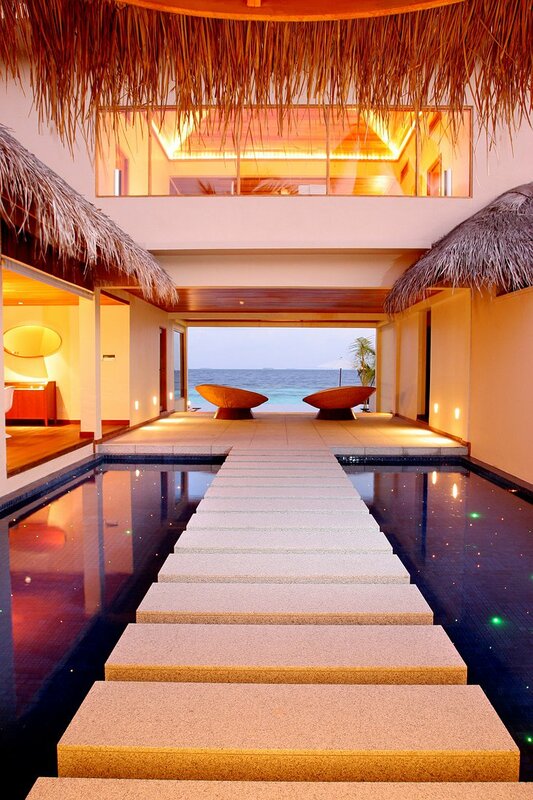 When you arrive, the hotel manager greets you by asking you to remove your shoes before entering the ‘walking dream’. 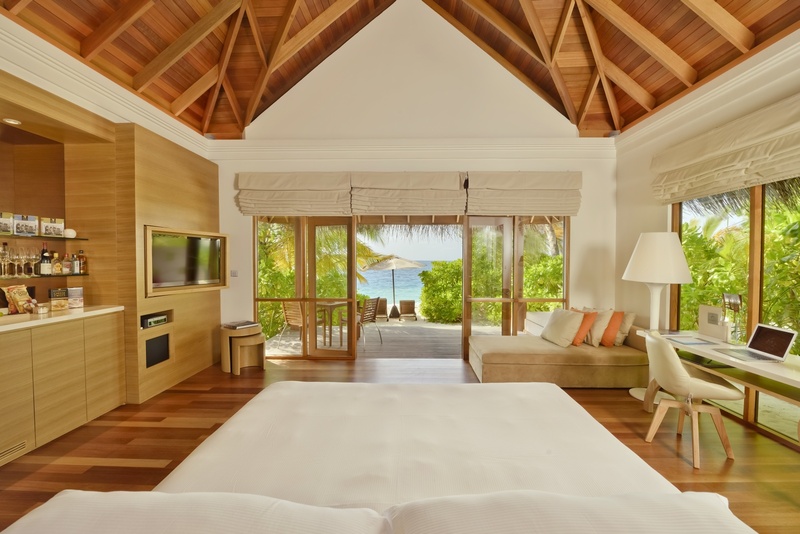 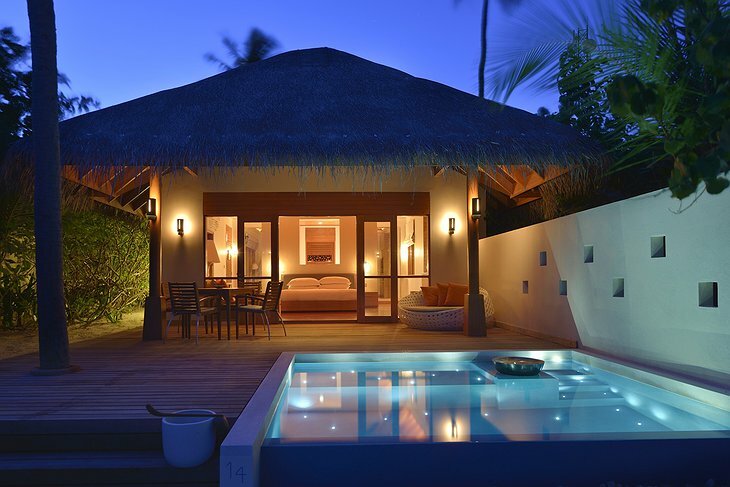 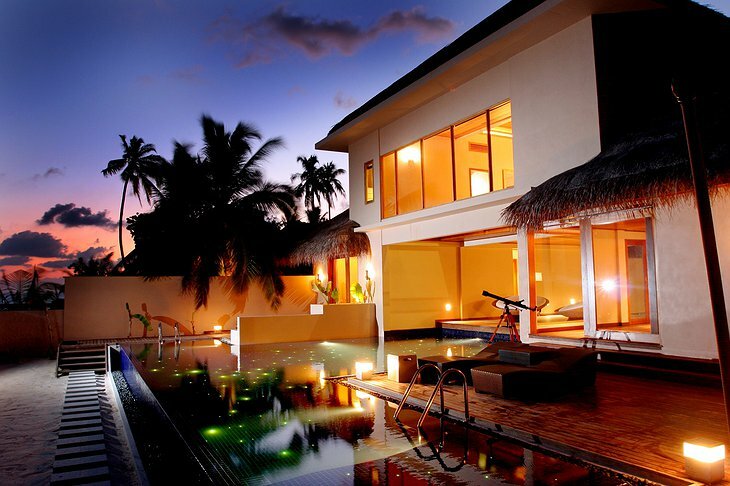 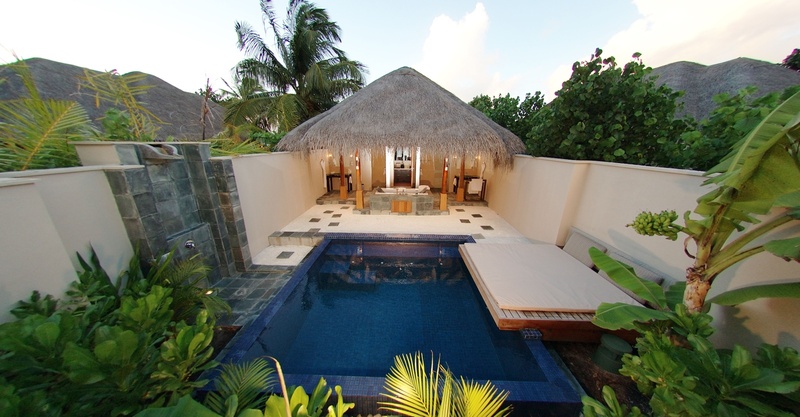 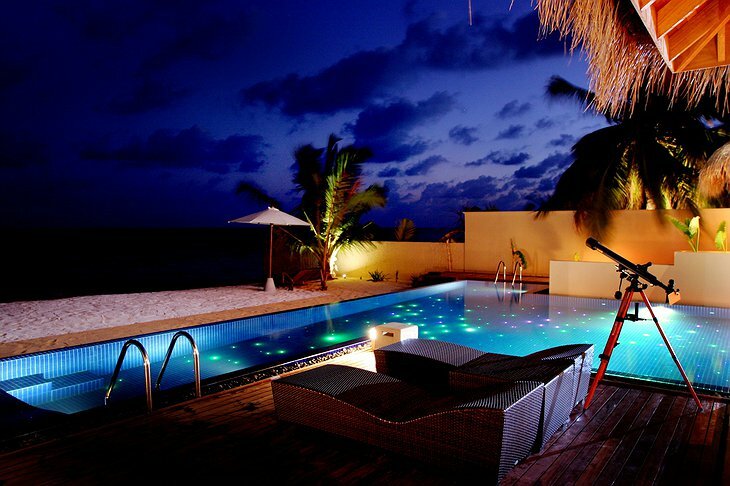 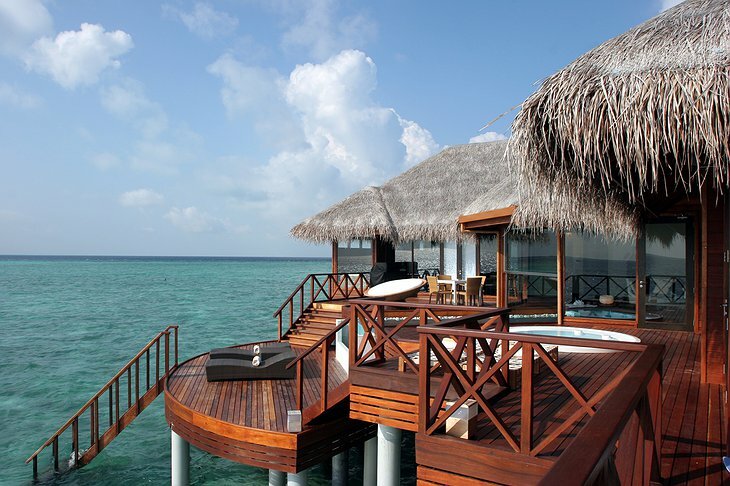 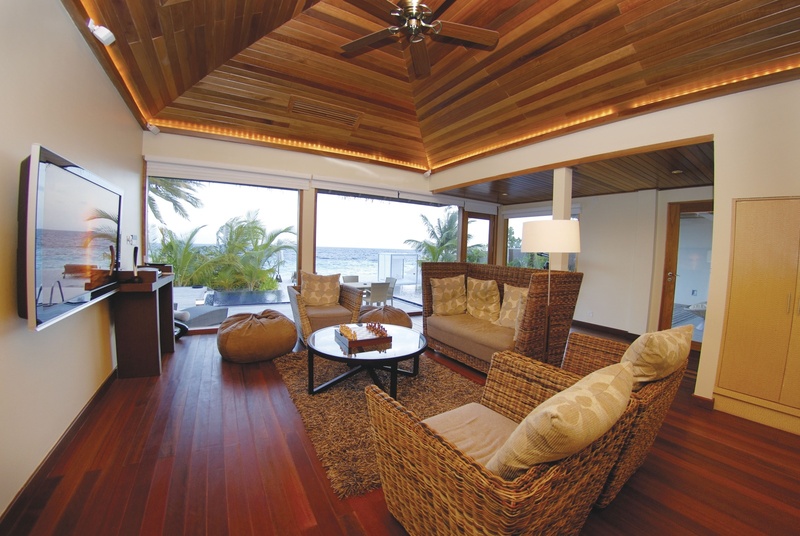 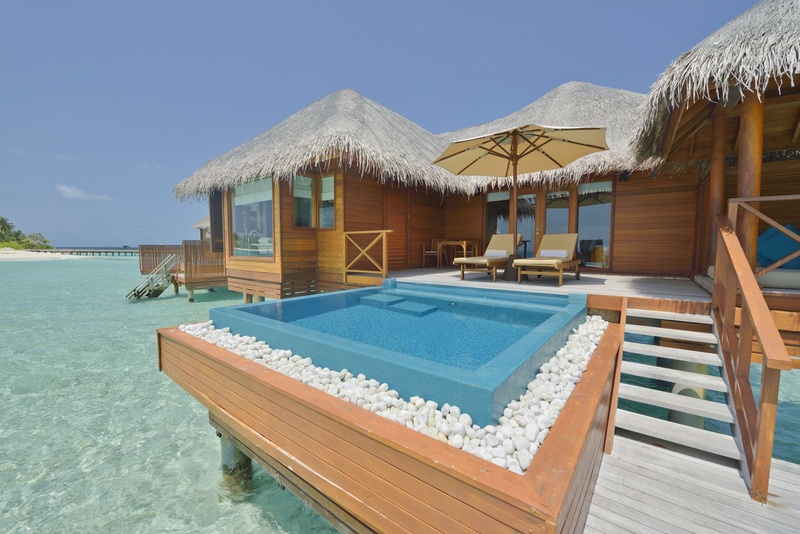 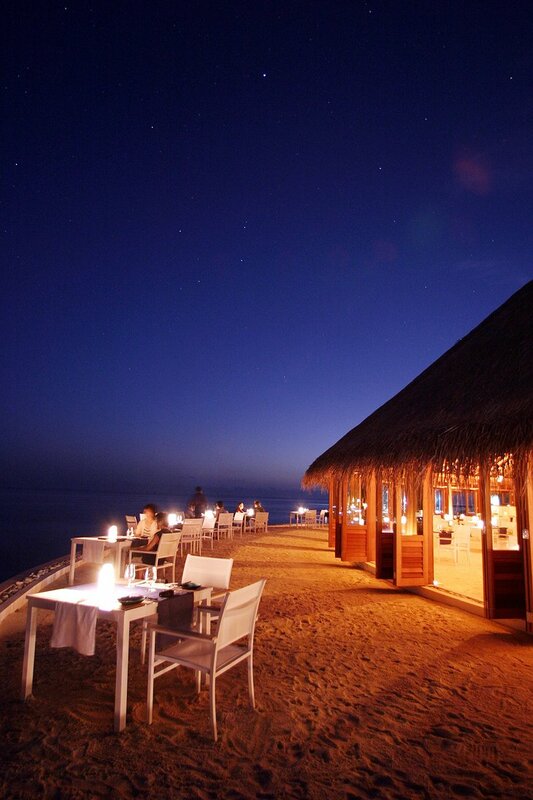 Stay in a bungalow built on stilts in the twinkling ocean with its own freshwater plunge pool and private sun deck. 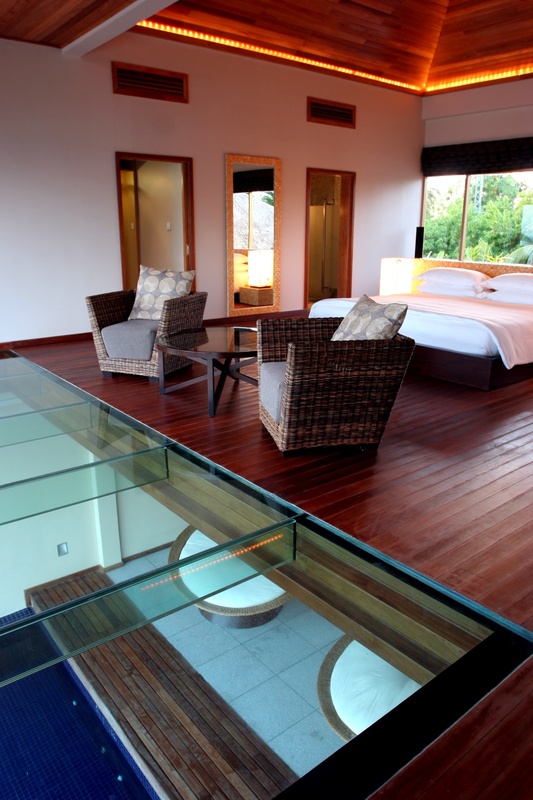 Did I mention the glass floors? 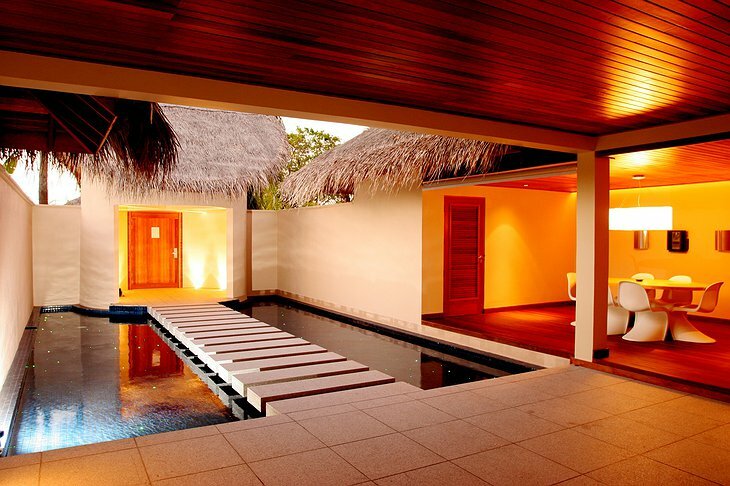 Or the 24 hour butler service? 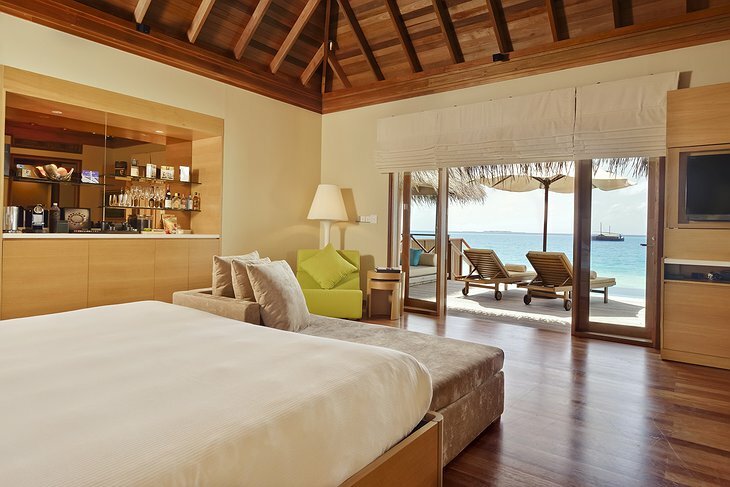 Every room has an inbuilt Bose sound system with 10,000 songs programmed into it. If you prefer a more traditional approach, you can choose a singular experience by staying in a wooden Dhoni, the traditional ship of the Maldives where you can enjoy food cooked by your on-board chef as you take a sailing tour of the idyllic islands. Or how about Huvafen Fushi’s private yacht? With its own on-board spa and therapist. 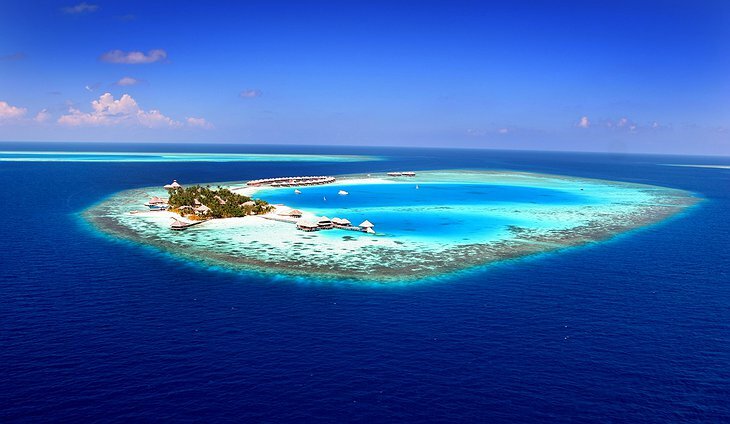 Speaking of spas, Huvafen Fushi’s is underwater. 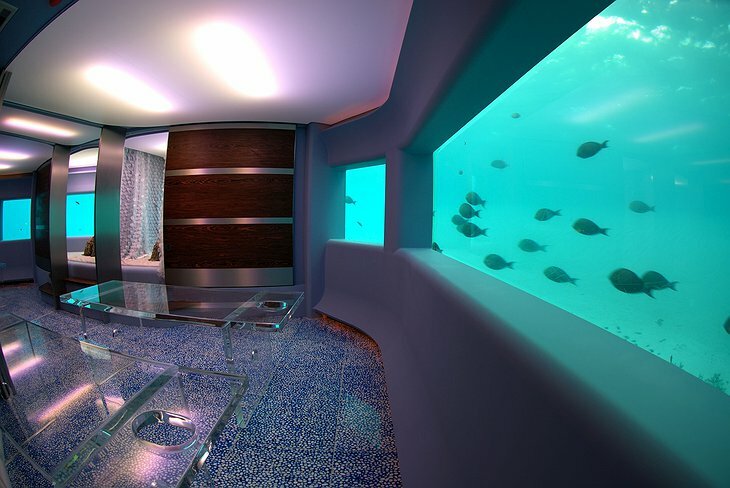 Yes, that’s right, underwater. 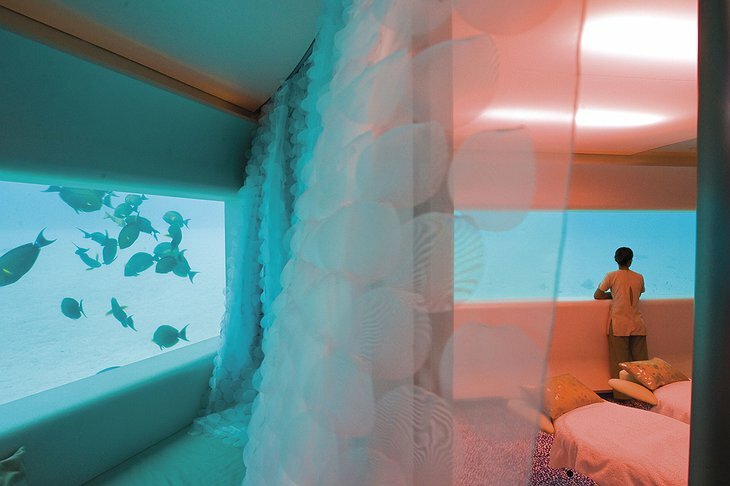 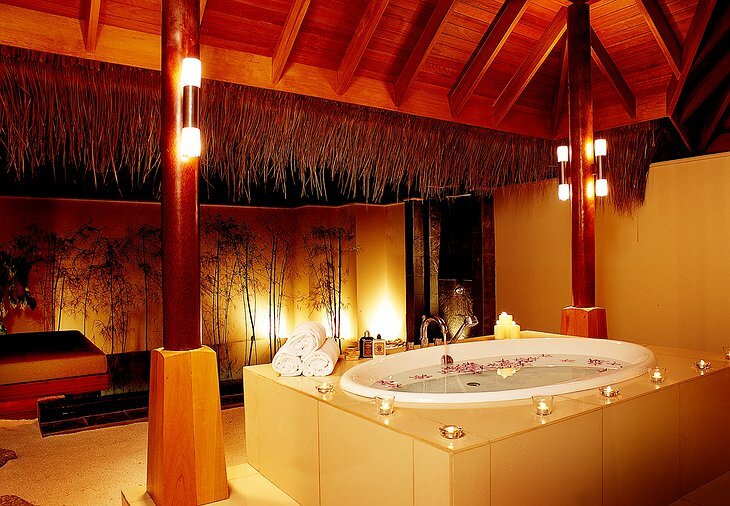 You are now having top notch spa treatments while gazing out into an ocean brimming with kaleidoscopic sea-life. 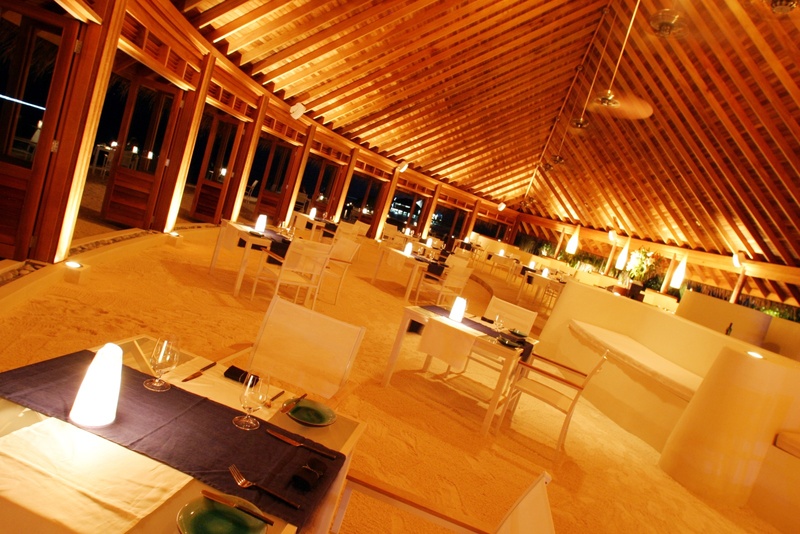 The hotel specializes in raw food for flourishing health and exquisite taste. 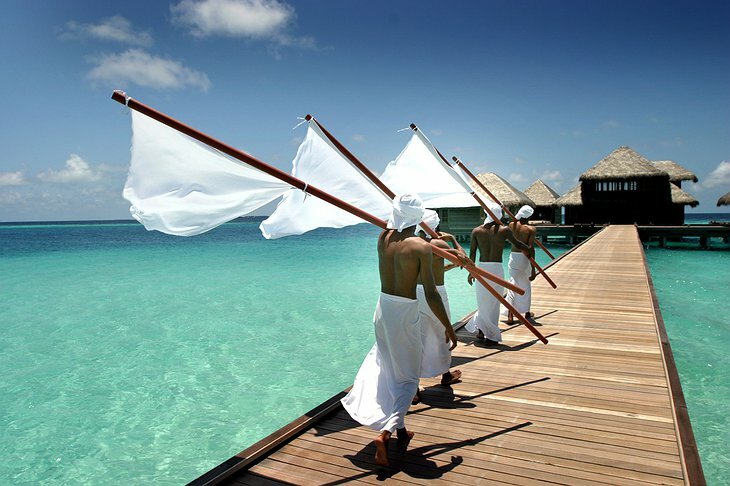 For fun, you can snorkel the reef, go diving or take a traditional canoe out into the turquoise waters. Or perhaps book the hotel’s own marine biologist so you can spot rare breeds of sea-life. 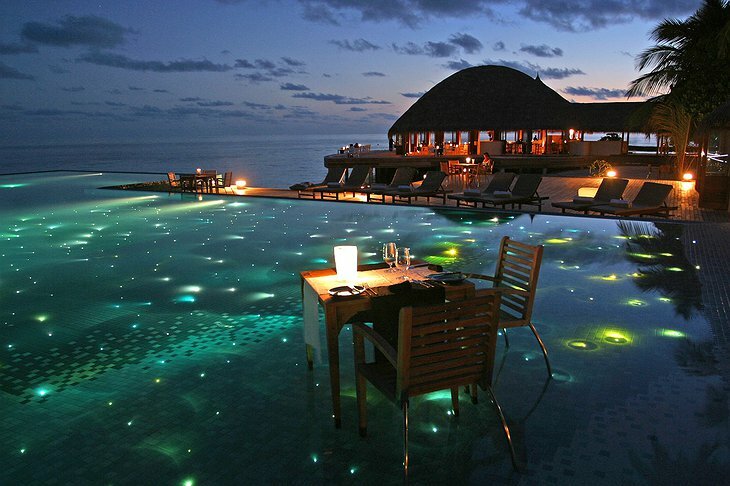 In the evening, you can have a private dining experience previously enjoyed by the likes of Tom Cruise and Katie Holmes on their honeymoon.